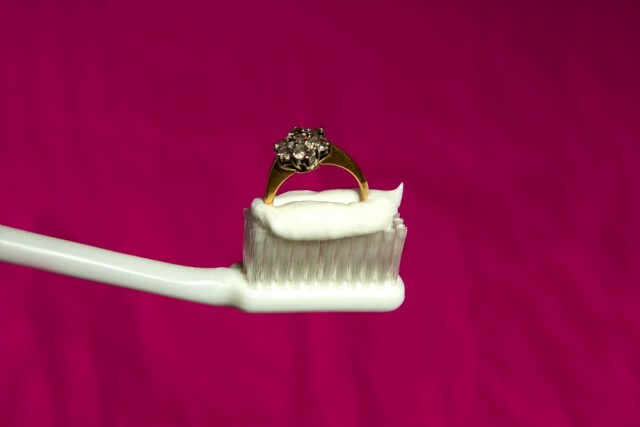 You may sound like you’re turning into a Bridezilla if you announce that you’re going to buy your engagement ring its own toothbrush, but it really is the easiest way to keep it shining. Just brush it as you would brush your teeth, with toothpaste and rinse in warm water to remove any residue. Life hacks every Monday on Ladyland. Have you got a good one?